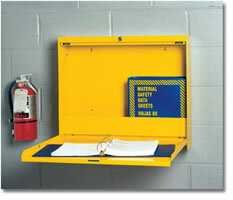 Large WallWrite Desk safely stores MSDS/RTK and other product info, helps meet Federal standards. Can also fit a Laptop Computer. Size is 22.5" high, 26.5" wide, and 6" deep when closed. Custom Built to order, Ships in 8-10 days. Extra Large Wall Mount Desks offer a convenient temporary work surface. Large enough to store Laptops, Books, Training Logs or MSDS Binders they can help you meet Federal Hazard Communications "Right To Know" program standards. 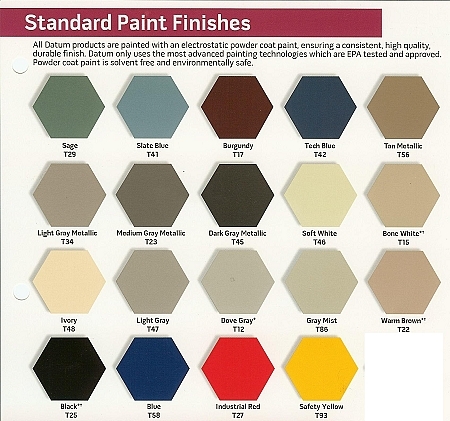 Easily installed on vertical surfaces. They take up very little space and are ideal for tight high traffic areas such as hallways, network computer rooms, shipping/receiving areas. These 18 Gauge Steel enclosures provide security for MSDS folders, and provide a writing surface for signatures or training logs. 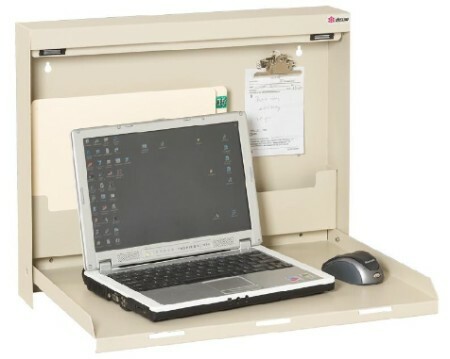 This unit has a storage area large enough to hold binders of materials or even a Laptop. Options include keyed locked protection. Size is 22.5" high, 26.5" wide, 6" deep when closed. Writing surface is 25" wide, 21"deep when open and open desk extends 24" from the wall when open. 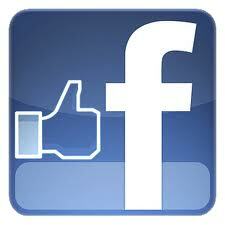 PLEASE NOTE: These "30X" units are all custom built to order and are not returnable.